Headquartered in Richmond, VA, Dominion Energy [NYSE: D] is one of the nation’s largest producers and transporters of energy, with a portfolio of approximately 25,700 megawatts of electric generation, 15,000 miles of natural gas transmission, gathering, storage and distribution pipeline and 6,600 miles of electric transmission and distribution lines. We operate one of the largest natural gas storage systems in the U.S. with 1 trillion cubic feet of capacity, and serve more than 6 million utility and retail energy customers. Our company is built on a proud legacy of public service, innovation and community involvement. 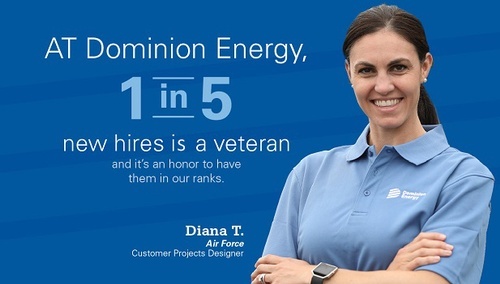 In addition to our core businesses, Dominion Energy and our 16,200 employees invest in the communities where we live and work and by practicing responsible environmental stewardship wherever we operate.